Databases can grow quite large, particularly on websites with a lot of content. 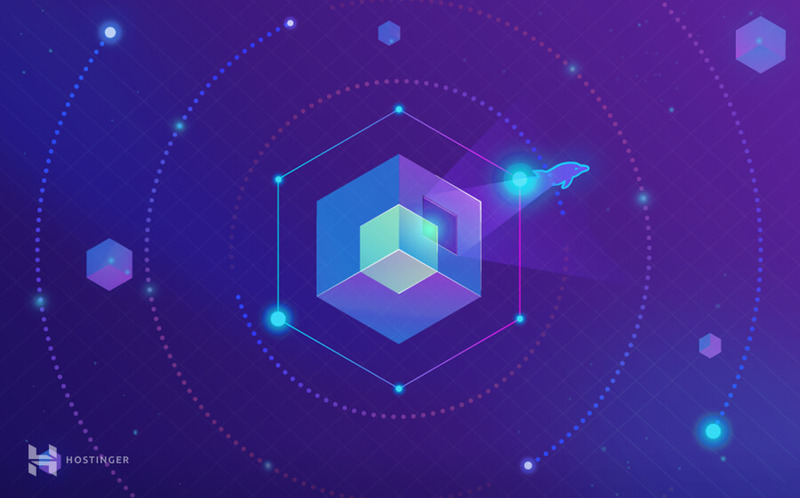 In such cases, optimizing a database should help improve the performance of a site. Optimizing MySQL database is important for many reasons, most importantly to boost up the rate in which your MySQL database displays results. Generally, optimization will yield more noticeable results the larger your database is (for example with over 7500 rows or if it’s over 350-500MB in size). The optimization part can be carried out using phpMyAdmin which is a free MySQL database management tool available with most hosting providers. 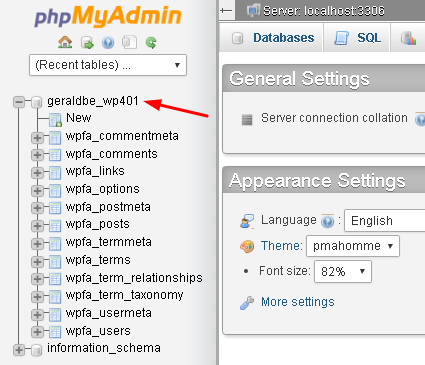 Enter phpMyAdmin and select your desired database. 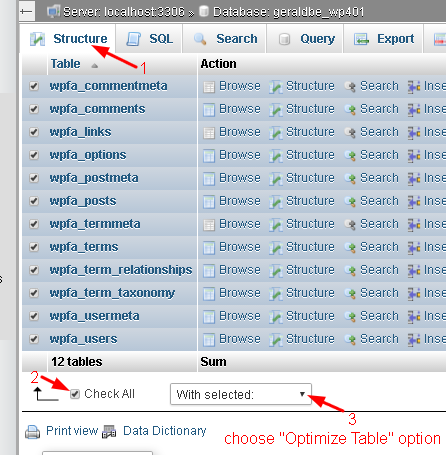 Select the Structure field, press Check All and choose the Optimize Table from the dropdown list as shown below. 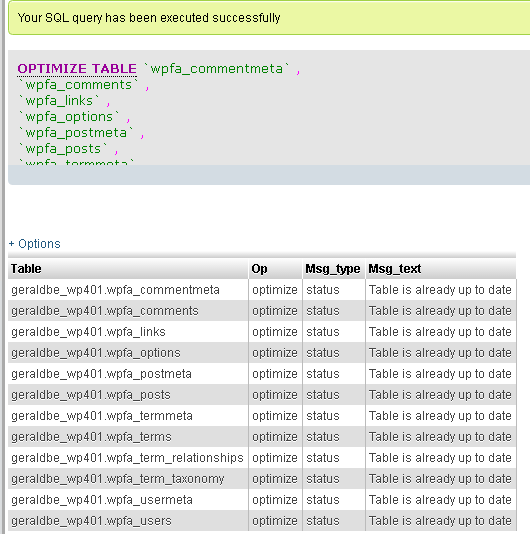 More information about OPTIMIZE TABLE syntax can also be found in the official MySQL documentation. In this guide, you have learned how to improve the performance of a website by optimizing a MySQL database using phpMyAdmin. Keep in mind that if you have an active site, the optimization process can be carried out again after a certain period of time or when a database grows considerably in order to ensure the maximum performance.